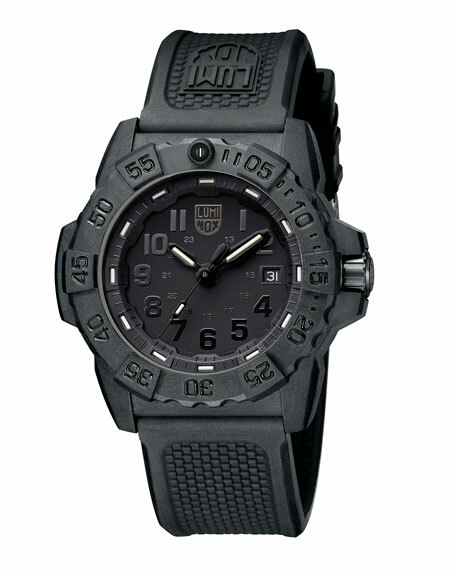 Luminox® men's "Trident" watch from the Navy SEAL 3050 Series. 44mm carbon-reinforced polycarbonate case and case back. Fiber glass reinforced unidirectional ratcheting bezel. Rubber, silicone, and polyurethane strap. Illuminated hands and hour markers. Water resistant up to 20 ATM. For in-store inquiries, use sku #2410282.